With discounts of up to 90% off our standard prices we are clearing out the warehouse for all the new collections arriving this summer. Everything is offered on a first come first serve basis so if you have a project or a tired old room which needs freshening up, now is the perfect moment to grab a bargain! Call Holly or Dani on 020 7349 1560 to request a sale list. Our Sale list includes lots of shorter ends which are heavily discounted so if you have a room which needs sharpening up what better time could there be to put down a new carpet at a rock bottom price? We will also be discontinuing a number of ranges this year to make way for some new collections, so be prepared for some real bargains on ranges scheduled for discontinuing products. We are also including a number of beautiful rugs in our sale, so do ask us for a list of hand tufted and hand knotted rugs. 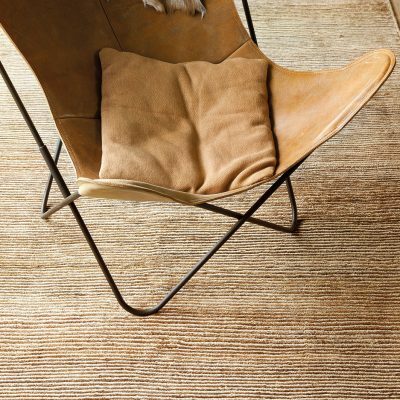 Also we can take any piece of stock carpet and add a linen suede or leather border to create a unique new area rug.